Nancy Obermeyer is a visiting lecturer with deep ties to Indiana University and SPEA. She earned her bachelor's in political science with a SPEA certificate in environmental studies, as well as her MPA in urban affairs here. Obermeyer is currently on leave from Indiana State University, where she is an associate professor of geography. Obermeyer's research emphasizes the institutional and societal aspects of implementing geographic information systems (GIS). She has been a leader in the development of certification for GIS professionals, which resulted in the establishment of the GIS Certification Institute (GISCI). 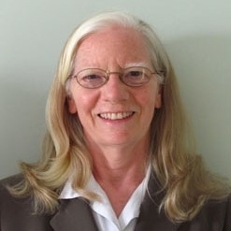 She is lead author of "Managing Geographic Information Systems" (Guilford 1994, 2004). Obermeyer has also held professional assignments with the State of Illinois in the areas of planning (analyst), transportation (strategic planning and project manager), and energy (helping to draft Illinois' first state energy plan). She recently served on the board of directors of the Urban and Regional Information Systems Association (URISA) and currently serves on URISA's GIS Management Institute (GMI) committee and the GISCI exam development committee. She has been a member of the Board of Directors of Bloomington Transit for nearly 10 years.